Governor William Bradford reported that the Pilgrims were worried that the "weak bodies of women" would not be able to withstand the rigors of a trans-Atlantic voyage and the construction of a colony. 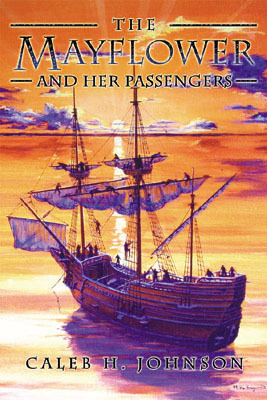 Prior to the Mayflower, very few English women had made the voyage across the ocean. Sir Walter Raleigh's Roanoke colony arrived in Virginia in 1587, and amongst those 120 colonists there were 17 women: a baby girl, Virginia Dare, was born after arrival. When re-supply ships came from England, they could not relocate the people. The colony had mysteriously disappeared, and was never seen again. The Jamestown Colony was founded in 1607, but relatively few women had yet made the voyage and taken up residence there. The Pilgrim husband, as head of the household, had an important and difficult decision to make. Building a colony would be hard on a woman's "weaker body." It might be safer and more healthy to leave her behind, and have her come later once the houses were built, and the general safety and successfulness of the colony were better established. But that could be several years. Could he live several years without his wife? How strong was his wife anyway, could she really handle it? Was it right to put your wife's life in danger in this manner? Francis Cooke, Thomas Rogers, Samuel Fuller and Richard Warren felt it was better if their wives Hester, Alice, Bridget and Elizabeth stayed behind, and came over later. Degory Priest also left behind his wife Sarah, despite the fact Sarah's brother Isaac Allerton came on the Mayflower with his pregnant wife and three young children. But most husbands, 18 in total, decided their wives should come with them. Was it the right decision? 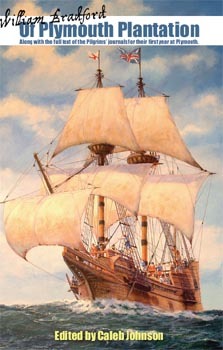 As the Mayflower left England for America, there were 18 adult women on-board. Three of them, Elizabeth Hopkins, Susanna White, and Mary Allerton, were actually in their last trimester of a pregnancy. All the adult women on the Mayflower were married, there were no single women--although there were a few teenage girls nearing marriageable age. While no women would die during the Mayflower's voyage, life after arrival proved extremely difficult. In fact, 78% of the women would die the first winter, a far higher percentage than for men or children. Dorothy Bradford was the first woman to die, and the only woman who died in the month of December. 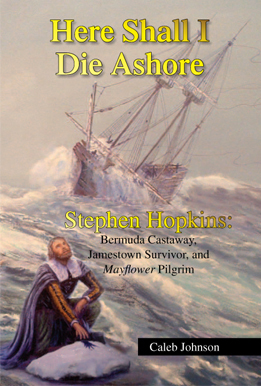 While many of the men, including her husband, were out exploring on Cape Cod, she accidentally fell off the Mayflower into the bitter cold waters of Provincetown Harbor. Most of the women's death dates were not recorded, but we do know that Rose Standish died on January 29, Mary Allerton died on February 25, and Elizabeth Winslow died on March 24. Most of the women died in February and March. The extremely high mortality rate among women is probably explainable by the fact the men were out in the fresh air, felling trees, building structures and drinking fresh New England water; while the women were confined to the damp, filthy and crowded quarters offered by the Mayflower, where disease would have spread much more quickly. The two-month voyage was long enough; the women, however, remained living on the ship for an additional four months while the men built storehouses and living quarters on shore. Many of the sick were no doubt cared for on-board the ship by the women, increasing their exposure to colds and pneumonias. William Mullins died on February 21, apparently on-board the Mayflower since his will was witnessed by the ship's captain and ship's surgeon. His wife Alice and son Joseph had not yet died, but it wasn't too long before they did, orphaning their teenage daughter Priscilla in the New World. Only five women survived the first winter. One of the five survivors, Mrs. Katherine Carver, died in May of a "broken heart," her husband John having died of sunstroke a month earlier. Weak bodies or not, by the time of the famous "Thanksgiving," there were only four women left to care for the Colony's fifty surviving men and children. The four women were Eleanor Billington, Elizabeth Hopkins, Mary Brewster, and Susanna (White) Winslow. Susanna Winslow was the widow of William White who died the first winter; she remarried to Edward Winslow, whose wife Elizabeth had also died the first winter. Incidentally, all the wives who had been left behind were still living. Four of them came on the ship Anne in 1623, had additional children, and raised their families at Plymouth.